Come on down to Arkham! Now in card form! 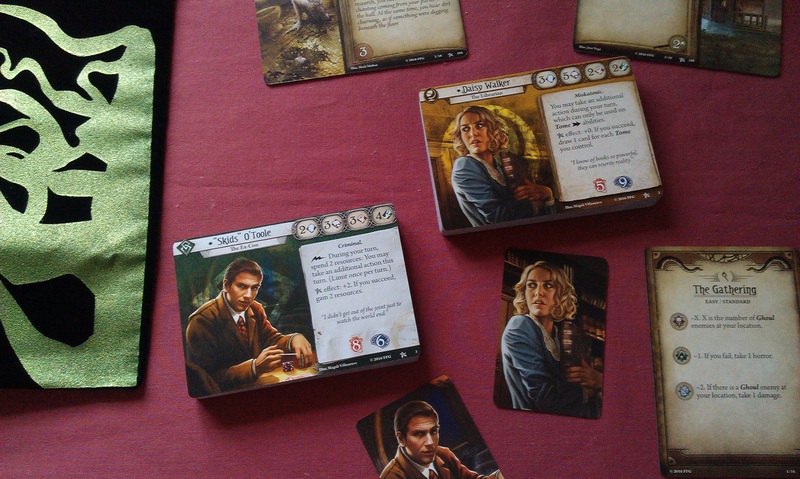 In the second of my over-excited post-GenCon game posts, I’m taking a look at the Arkham Horror LCG coming out imminently from Fantasy Flight. 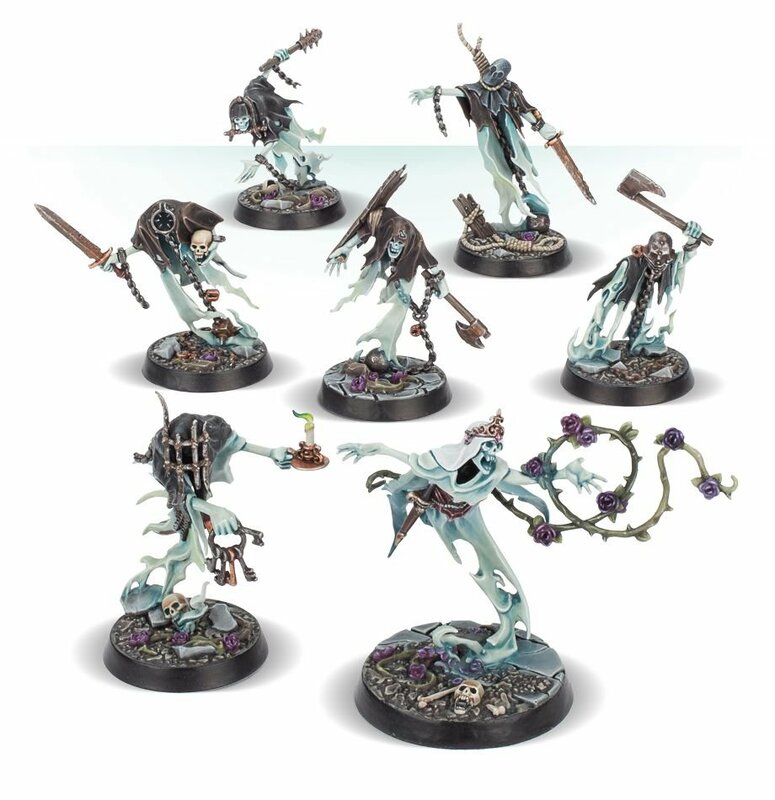 In the wake of the company’s break with Games Workshop, and the demise of Conquest, it’s good to see there will be a game that looks like it can slip into the void, and it looks like it will be a game for the ages. I’ve already talked about this briefly, but today, I’m going to take a look at all of the excitement from the recent news and previews, and hopefully be able to make sense of it all! 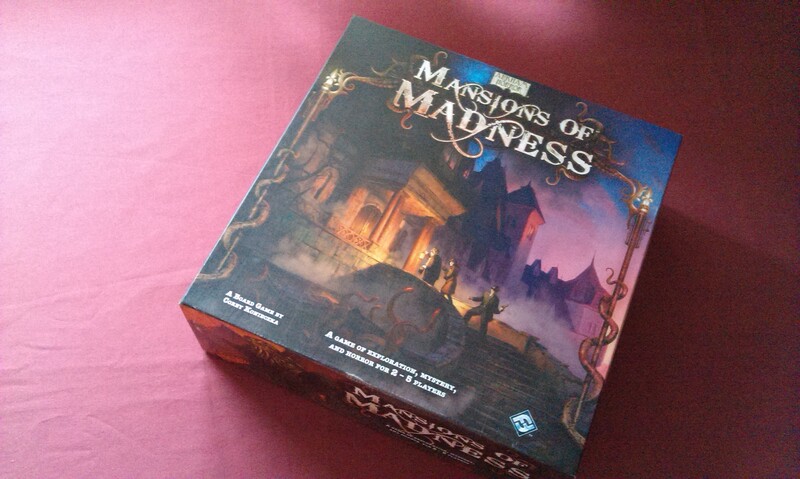 The game can be played solo, which is one of the biggest draw for me in this day and age. Trying to get people together for games days has become entirely too much of an industry for me these days! 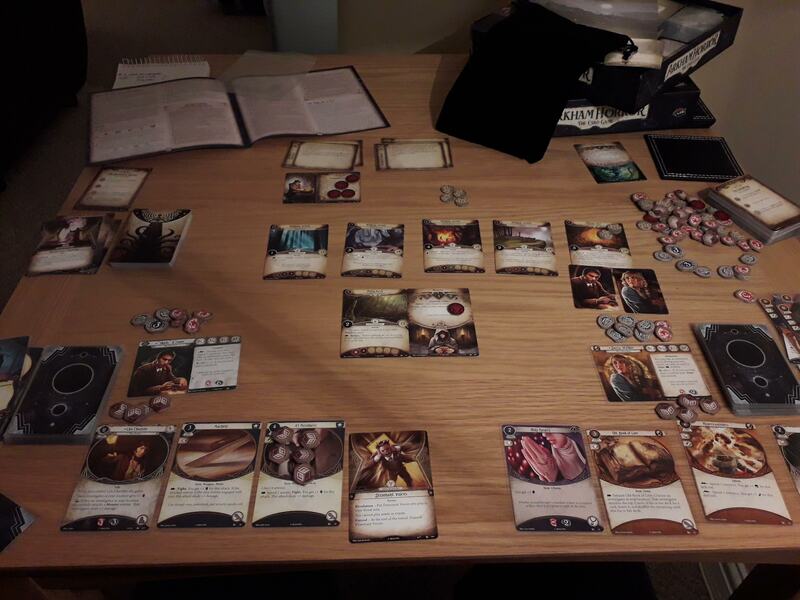 Because of this, I might be drawing a lot of comparisons with Lord of the Rings LCG, so head here if you don’t know about that game! First of all, though, let’s look at the deckbuilding. 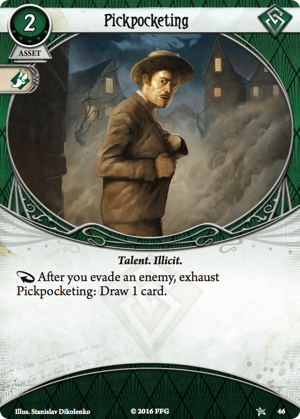 You play an investigator, who seems to be like your Hero card in LotR, and a bit like your Warlord in Conquest, in that they have a set number of cards you must include in the deck. Something I really like about this, however, is the fact that your deck includes weakness cards, which add so much more to the story of the game. Indeed, this is what I love about games like this overall – when you aren’t focused on making a game that has an associated competitive level to it, you can make the game so deep and much more interesting than constantly providing cards that attack your opponent or whatever. 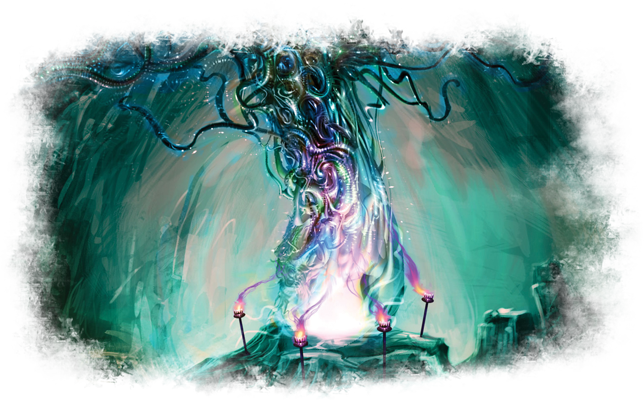 If it wasn’t already Lovecraft-inspired, this game would now be an instabuy when it comes out for the deckbuilding alone! And check out those card backs – nice! 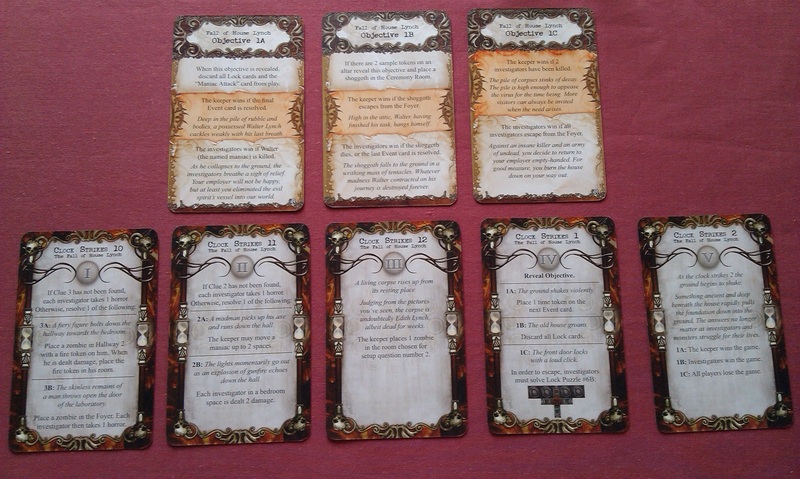 But that’s not all, because this is a role-playing-card-game-game! 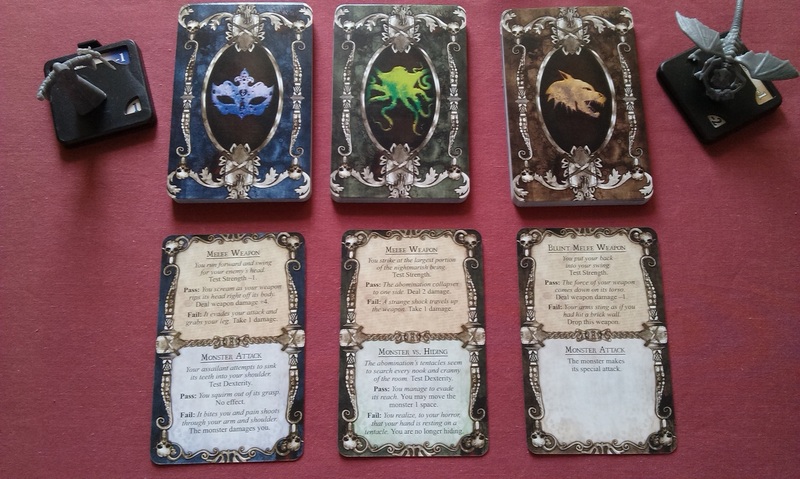 Your deck is built with these “signature” cards, and then you choose a class to follow! 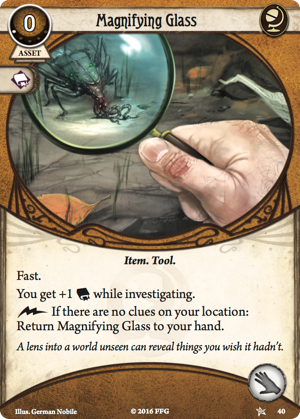 There are also limitations to how much stuff your investigator can have out on the table – much like Arkham Horror’s hand mechanic for using items, the game uses these limits for hands, body, allies, awareness and accessories. It’s something I really like about the board game, as it adds an element of realism to an otherwise abstract idea. 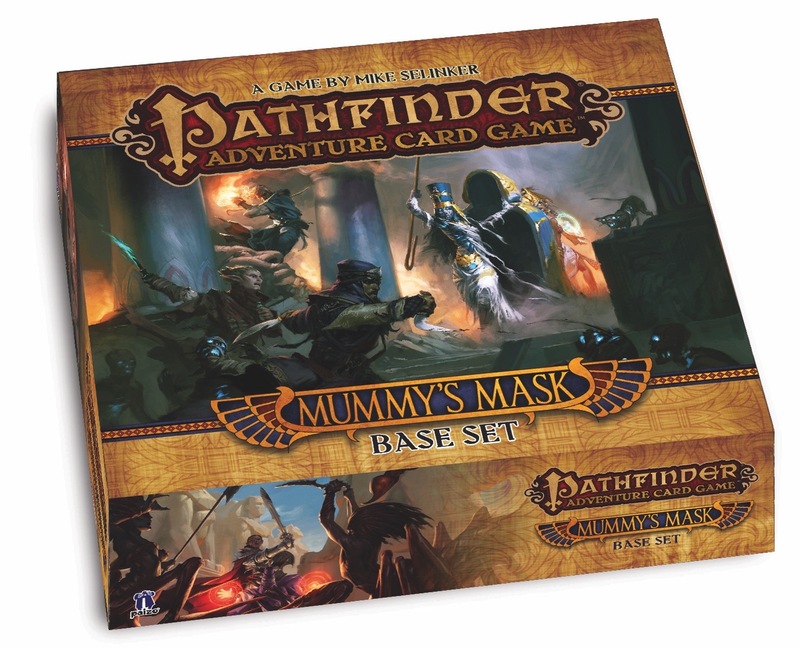 The game appears to be played similarly to the Pathfinder Adventure Card Game, in that you play an adventure that is part of a linked campaign, and your success in each adventure determines how you customise your deck. That sounds really great, though something I dislike about the Pathfinder deck customisation rules is how you need to break down your deck between adventures to the basic cards again, and it seems like an age between having extra slots to increase your deck size. 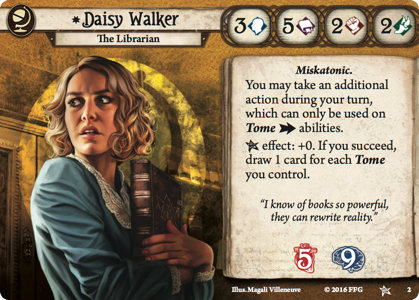 Of course, in that game it makes sense for balance reasons, but a part of me hopes that Arkham Horror LCG allows for a bit more flexibility with your upgrades! 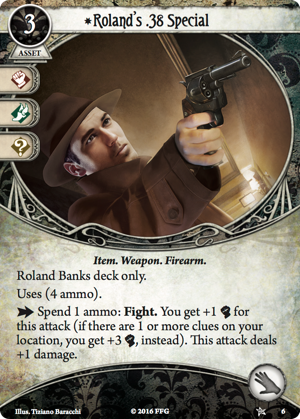 The game play actually reminds me of Call of Cthulhu LCG, where you have skills that you make checks against – in CoC, you’re trying to put successes on stories, and here you’re investigating locations to find clues. At any rate, it’s nice to have that returning feel to the new game! 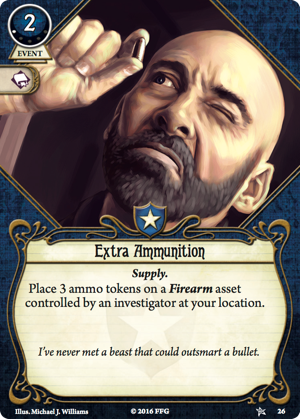 There’s a really nice addition to this investigation mechanic, however, where you pull a chaos token from a bag, which can have an adverse impact on how you go on with the game. Sounds like a lot of thematic play is inbound, indeed! But what about the actual point of the game? 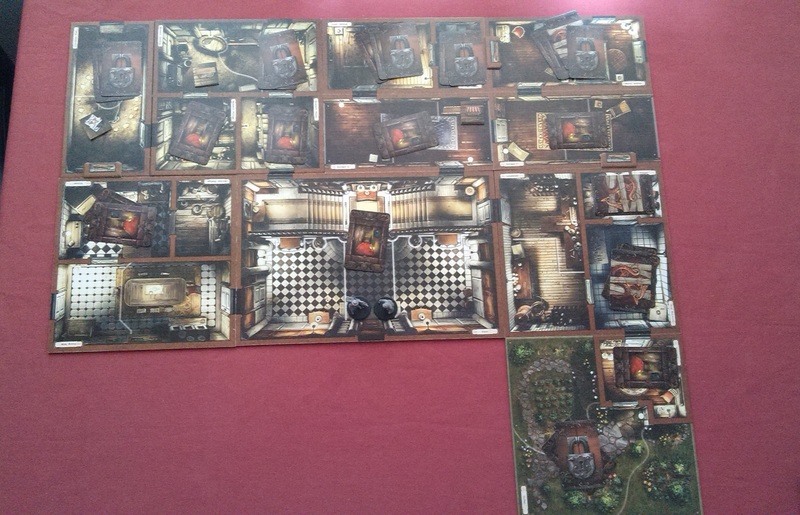 It looks like the game is all about finding the clues to stop the diabolical schemes that are going off in Arkham. 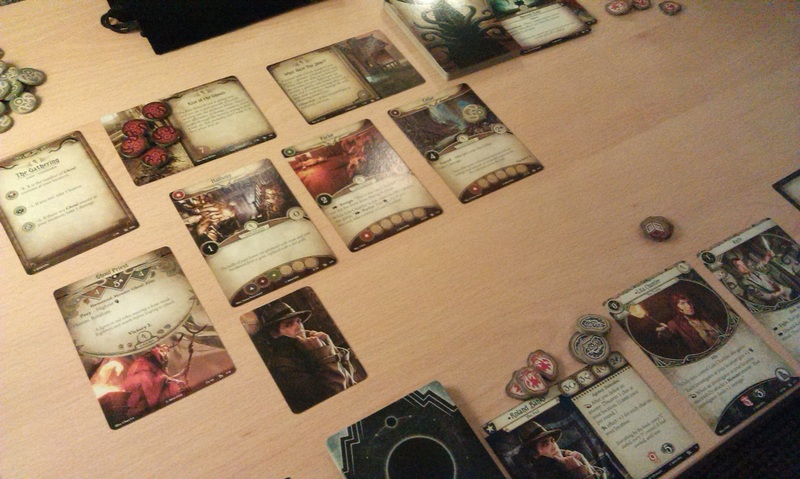 The game has agenda cards that are split between the investigators and the game itself, and you need to put enough clues on the investigator side before the game can get enough doom on its own side. This is something that I really like! LotR has had similar things in the past with one or two scenarios, where you’re trying to advance the quest before some tokens are removed from objective cards or whatever, but in the main, I think the failing of that game can sometimes be that you’re pretty much only opposed by the enemy cards, so they make the game more difficult by having increasingly boss-level enemies, which really only leads to frustration. Recent expansions have remedied this somewhat with timed effects, but still! I think the idea of basically fighting the game rather than a progression of enemies could lead to some excellent scenarios here that aren’t combat-heavy, but more focused on exploration and investigation. There also seems to be a lot going on between-games. 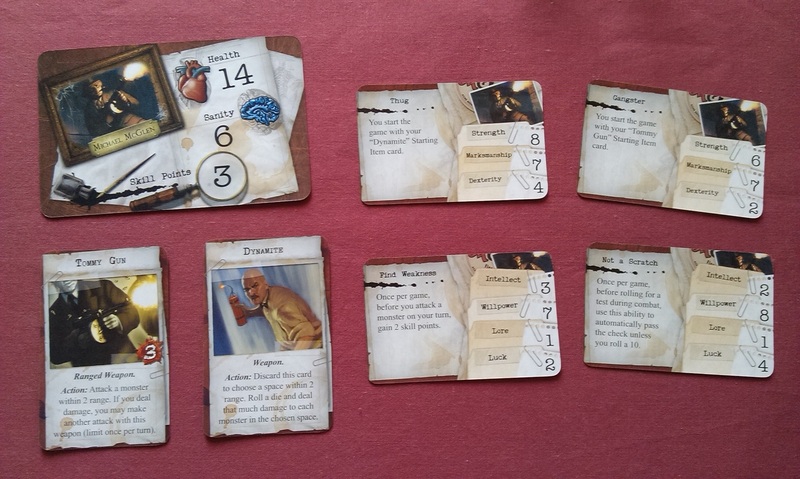 After each game, you have the deck-customisation bit whereby you can upgrade and whatnot, but your actions taken in the game can greatly affect how you then upgrade. That sounds like it might be a lot of work for me, as I’m generally quite hopeless about thinking that far ahead. 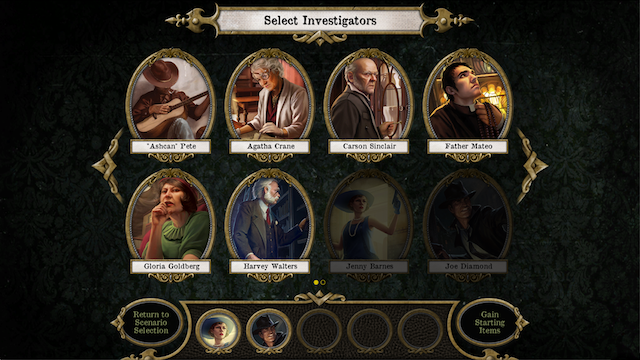 Looks like I might be levelling-up in life, not just my investigator! 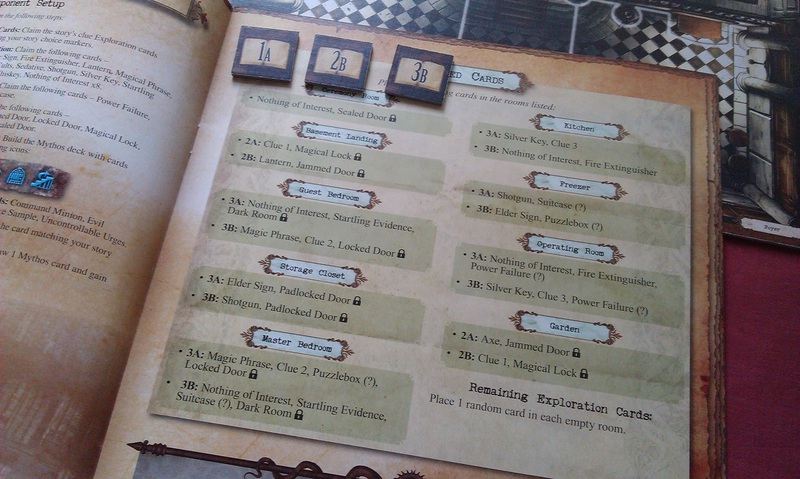 The previews emphasize how the main ‘unit’ of the game is the campaign, and you play each scenario as a linked thing. While I like this idea a lot, and think there’s a lot to be said for it, sometimes I think I might just want to have a crazy adventure, risk my sanity, and shoot some cultists with my .38 special, you know what I mean? I like the idea of having just a one-off game, and I think that might be where print-on-demand could come in. 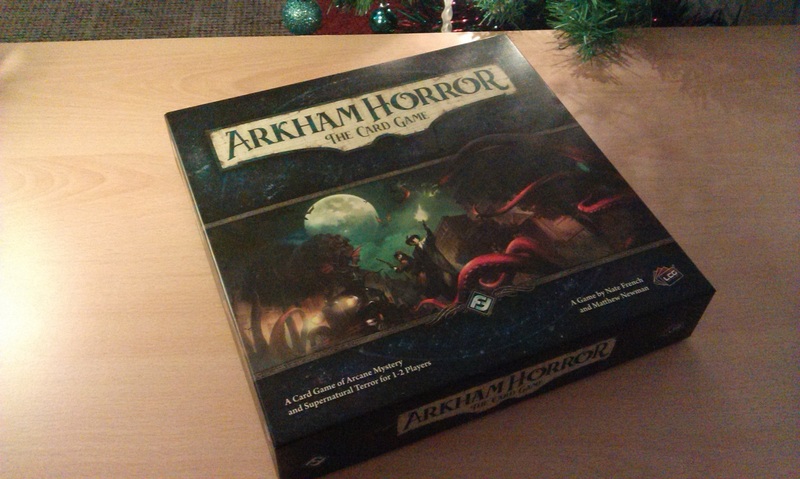 For this year’s Arkham Nights, they’re giving out a standalone scenario, Curse of the Rougarou, which will be available later on via PoD. That would be cool if the scenarios are all linked, we could get some one-off things. Or maybe a shorter thing, like two linked scenarios, rather than a huge ongoing campaign? That actually brings me on to the next bit… expansions! 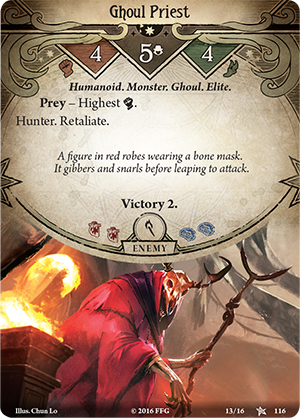 Last week, FFG announced the first deluxe expansion for the game, The Dunwich Legacy, and while some folks have been a bit incredulous that they’d do this, I’m just really excited for it! 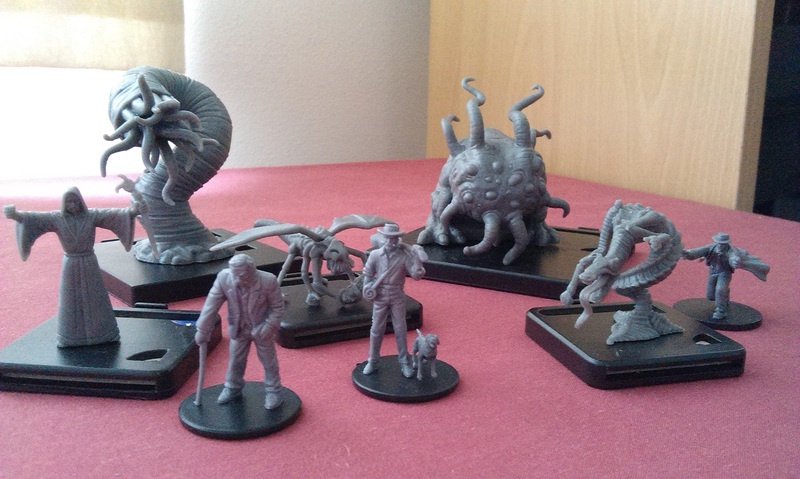 Aside from the fact that The Dunwich Horror is one of my all-time favourite Lovecraft tales, I love the fact we’re seeing how the game will progress right off the bat! It’s also quite similar to the way LotR worked, with having a story set after the events of the source material – we’re on the trail of the missing professors who climbed that hill to banish the Horror! 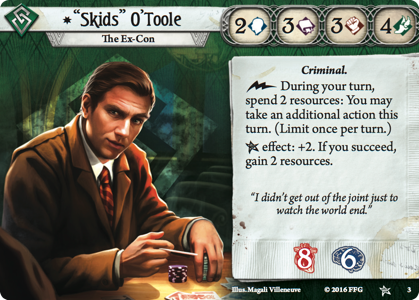 The expansion includes two new scenarios that link with the subsequent six Mythos Packs to create an eight part campaign. However, the announcement does state that the scenarios can be played independently, which sounds super-exciting! It looks like the core set will be available around mid-October, and the first expansion will hopefully be with us in time for Christmas. Overall, I’m really excited for this one, and I just hope it lives up to these expectations once I get my paws on it! 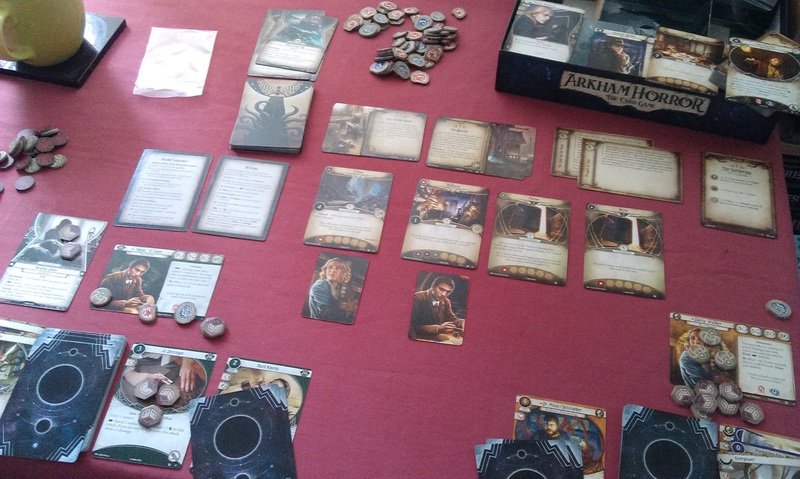 Author spalanzPosted on September 13, 2016 September 11, 2016 Categories board gamesTags Arkham Horror, card games, Fantasy Flight Games, LCG, Lovecraft2 Comments on Come on down to Arkham! Now in card form!